To separate, withdraw or transform those different components, PCM offers a single unit transfer system with a unique high pressure capacity coupled to the lowest NPSH eliminating the need for separators and export pumps. Our pumps can be arranged vertically and installed directly into tanks, sumps, pits and caissons. This minimizes equipment footprint and simplifies the installation by reducing the need for piping, valves and instrumentation. Hydrocarbon condensate transfer from HP/LP flare knock out drums or hazardous effluents from a closed drain tank involve fluids with high vapour pressure. This requires an installation with low NPSH, particularly where space is scarce. Fluids are collected from a variety of sources before transfer back to the main process for recovery and treatment before disposal. The composition and characteristics of these fluids vary considerably. Why choose PCM for Oil and Gas Processing ? With the lowest NPSH of all positive displacement pumps, the PCM surface transfer pumps deliver highly reliable performance in challenging applications. PCM high pressure surface transfer pumps reach differential pressure up to 200 bars (2900psi) and make product transfer and injection possible with a single pump unit. PCM surface transfer pumps perform constant flow despite varying levels of viscosity, solids content and pressure. 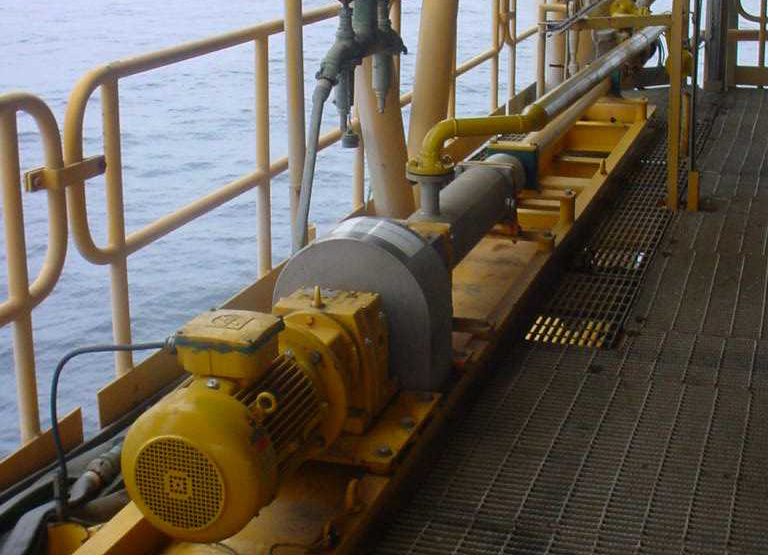 PCM pumps provide a reliable and cost-effective solution to avoid auxiliary equipment or several parallel separation pumps.